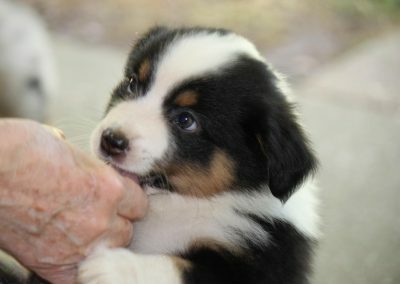 Always has beautiful puppies, well taken care of and handled with love. 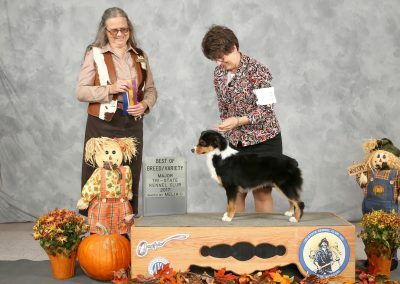 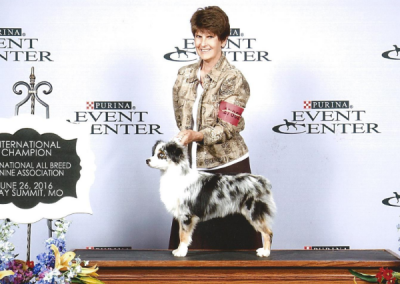 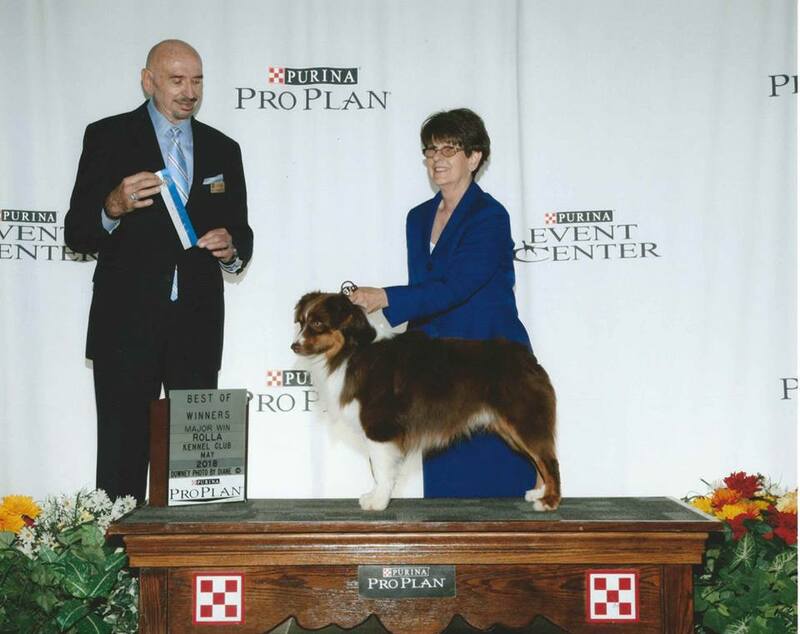 She does an awesome job with her aussies! 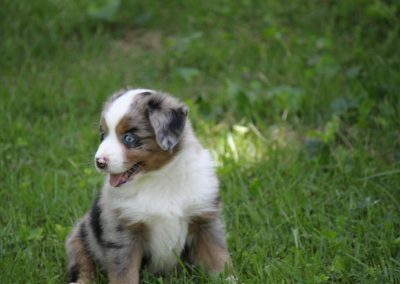 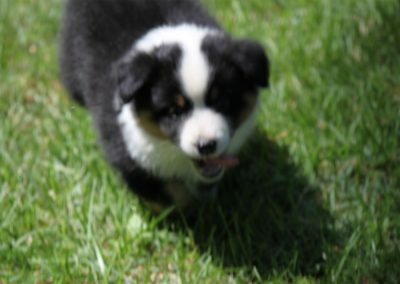 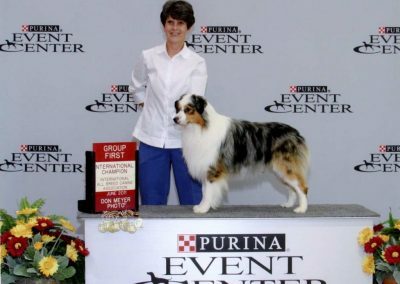 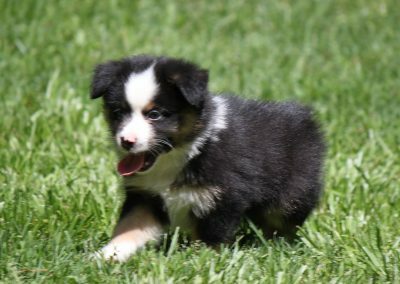 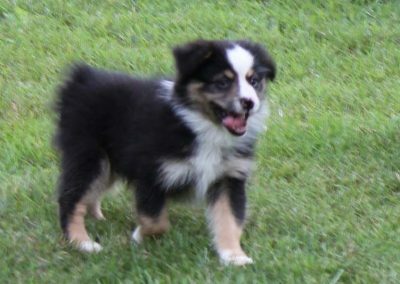 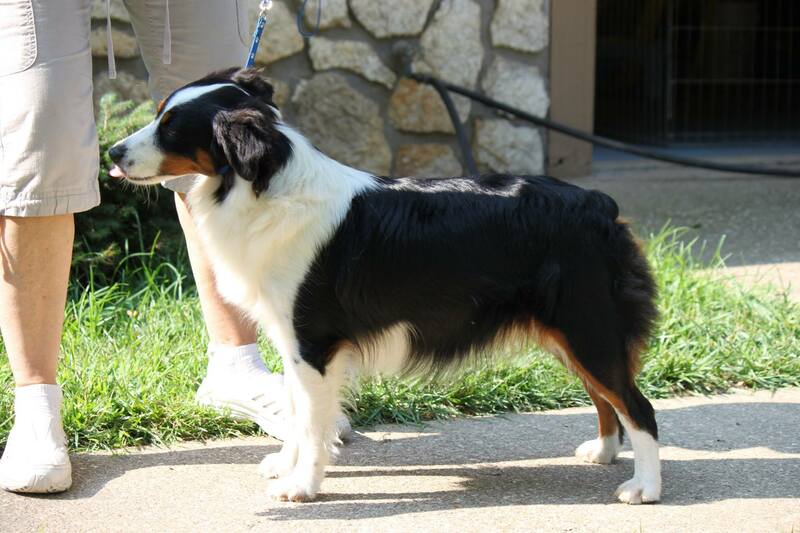 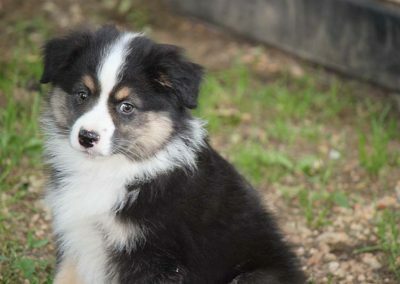 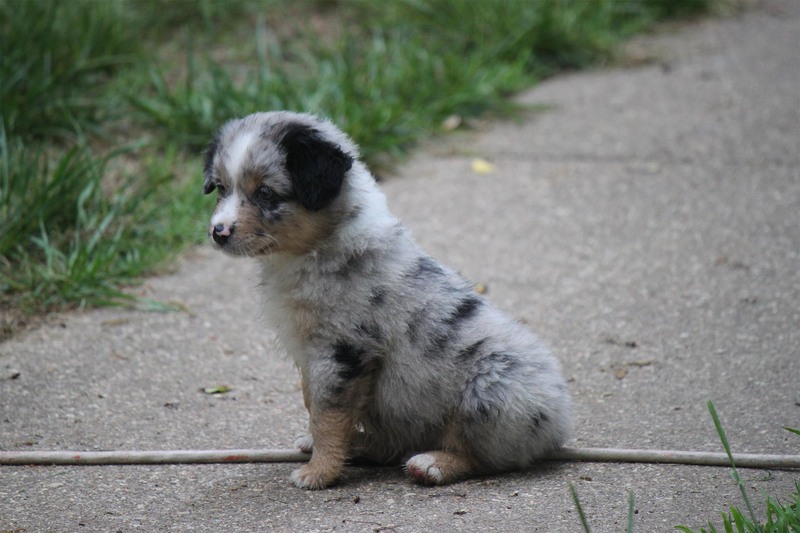 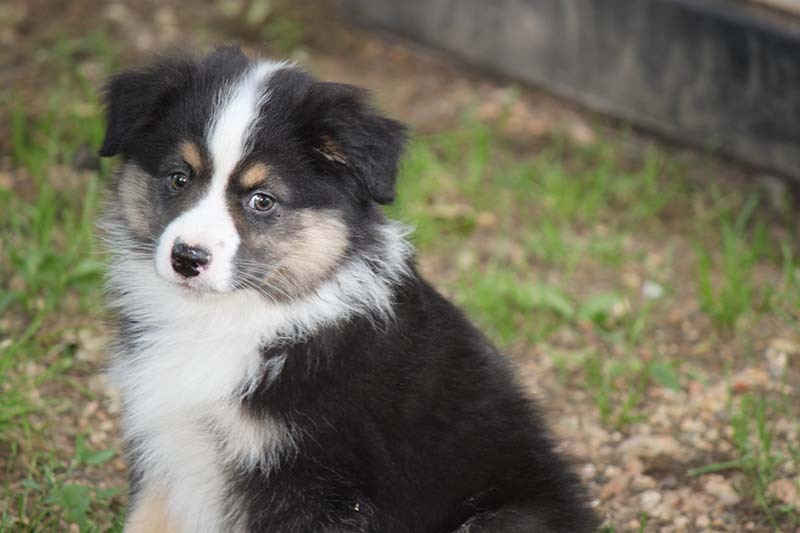 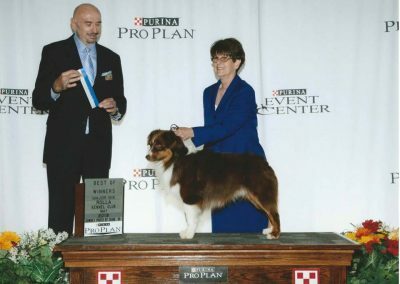 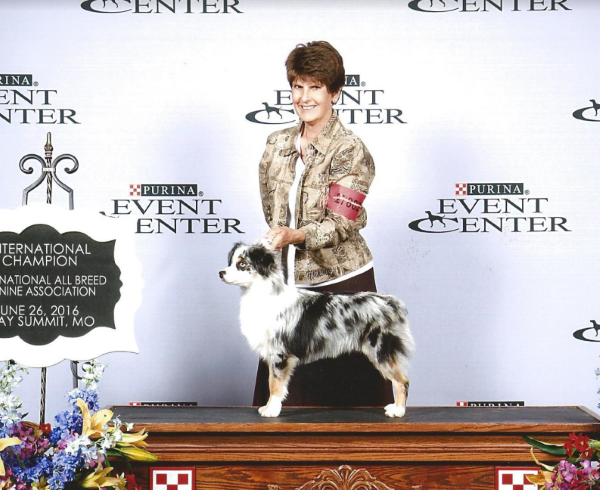 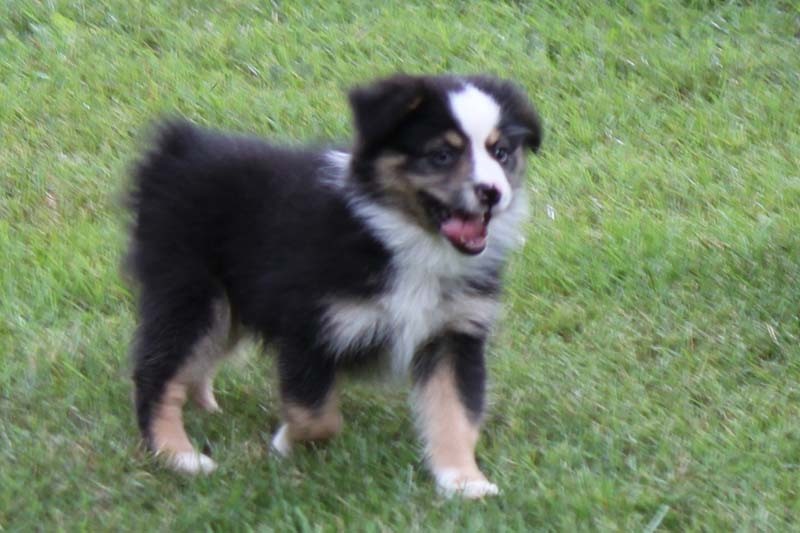 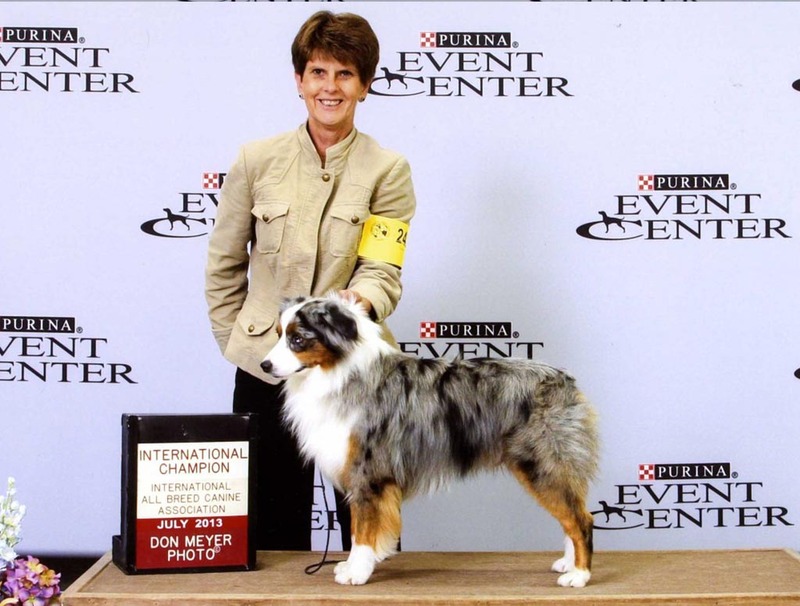 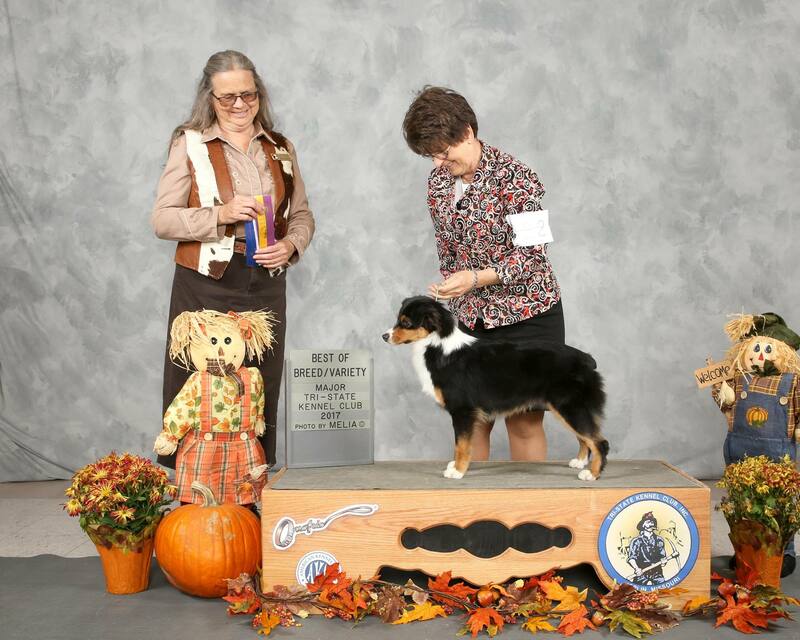 The History of the North American Miniature Australian Shepherd actually began with the History of the Australian Shepherd. Though most facts are shrouded in time, the most commonly held belief on the origins of the Aussie began in the late 1800’s when western ranchers were importing sheep from Australia. During this period the most popular sheep were being imported into Australia from the Basque regions of Spain. 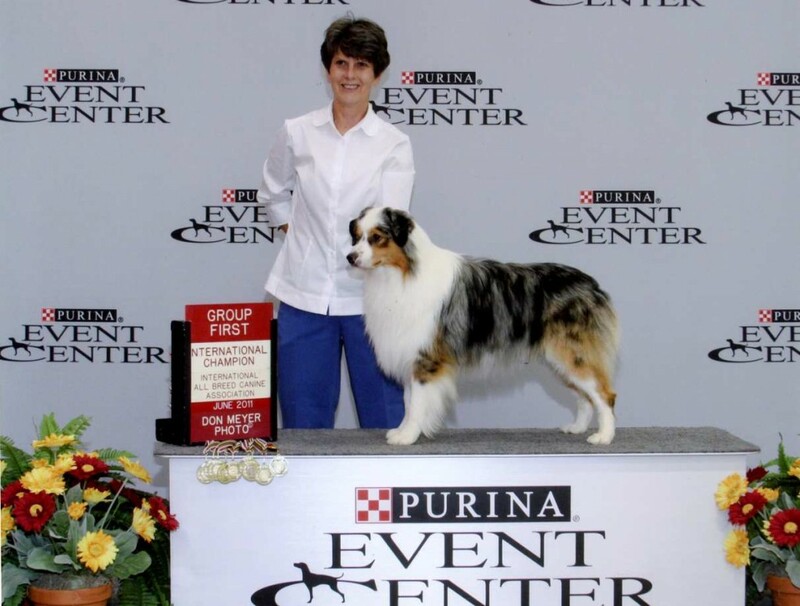 When the herds were shipped, their shepherds were sent with them to manage and care for the flocks on the journey. 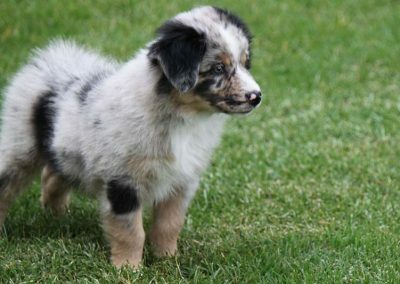 As the Australian’s reputation for quality sheep grew, the demand for their sheep grew also and American ranchers began importing them.